The computer graphics and computer vision communities have been working closely together in recent years, and a variety of algorithms and applications have been developed to analyze and manipulate the visual media around us. There are three major driving forces behind this phenomenon: 1) the availability of big data from the Internet has created a demand for dealing with the ever-increasing, vast amount of resources; 2) powerful processing tools, such as deep neural networks, provide effective ways for learning how to deal with heterogeneous visual data; 3) new data capture devices, such as the Kinect, the bridge between algorithms for 2D image understanding and 3D model analysis. These driving forces have emerged only recently, and we believe that the computer graphics and computer vision communities are still in the beginning of their honeymoon phase. 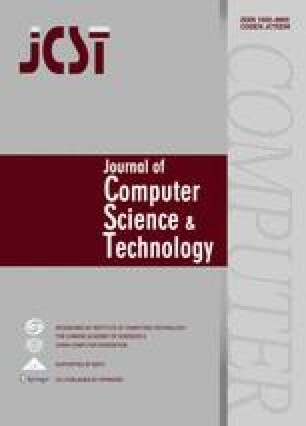 In this work we survey recent research on how computer vision techniques benefit computer graphics techniques and vice versa, and cover research on analysis, manipulation, synthesis, and interaction. We also discuss existing problems and suggest possible further research directions. We would like to thank the anonymous reviewers for their useful feedbacks. Xiao J X. Graphics for vision: Learning to see using big 3D synthetic data. http://www.cs.princeton.edu/~xj/slides/2015_CAD_Graphics Keynote.pdf, Oct. 2016. Meeker M. Internet trends 2014-code conference. http://www.kpcb.com/internet-trends, Oct. 2016. Borji A, Cheng M M, Jiang H Z, Li J. Salient object detection: A survey. arXiv:1411.5878, 2014. https://arxiv.org/abs/1411.5878, Nov. 2016. Rogez G, Schmid C. MoCap-guided data augmentation for 3D pose estimation in the wild. arXiv:1607.02046, 2016. https://arxiv.org/abs/1607.02046, Oct. 2016. 3.School of Computer Science and InformaticsCardiff UniversityWalesU.K.